Jewish Farm School equips and mobilizes Jews to be part of building a just, equitable, and sustainable food system. We renew our connection to land, food, spirit, and communal celebration. We root this work in Jewish values, traditions, and the cycles of the Hebrew calendar. We nourish our communities by offering skills-based trainings and food justice education, garden-based programming, hosting Shabbat and holiday gatherings, and acting in solidarity with non-Jews who uproot systems of oppression that unjustly influence our agricultural, environmental, and social wellbeing. Judaism inspires us to design our communities in ways that ensure the needs of all people are met. The ancient Jewish agricultural laws contain a blueprint for creating a just and dignified food system, from farm to table. Shabbat teaches us that everyone, rich or poor, Jewish or not, deserves a day for rest each week. Shmita challenges our thinking around land stewardship, private property, class, and debt. Our calendar and holidays connect ecological cycles with our spiritual cycles. We imagine a city that is built upon a foundation of communal responsibility, environmental stewardship, economic justice, and community celebration. We are crafting new narratives of Jewish culture that are rooted in the cycles of the Hebrew calendar and abound with resilience, cooperation, interdependence, and solidarity. We envision a world anchored by just food systems, fair working conditions, sacred relationship to land and water, and new economies that liberate. JFS sprouted out of a shared vision by our co-founders Simcha Schwartz and Nati Passow, and with the support of an advisory council, to develop educational programming that would foster opportunities for Jews to reconnect with the processes of working the land and growing food. The vision consisted of establishing a school that would enroll students seeking alternative modes of education. In doing so, the learning would entail farming, animal husbandry, natural building and Jewish learning as well as achieve the necessary requirements for accreditation. We began operating in 2006, and have experimented with a wide range of programs, sites, partners and events until 2013, when we made Philadelphia the primary focus of our work. Since 2006, Jewish Farm School has run over fifty different programs, reaching over 7,500 children, college students, and adults. For three years JFS was named by Slingshot as one of the 50 most innovative organizations in North America, and our programs are a catalyst for lifelong learning and engagement in Jewish, environmental, and social justice-related issues. 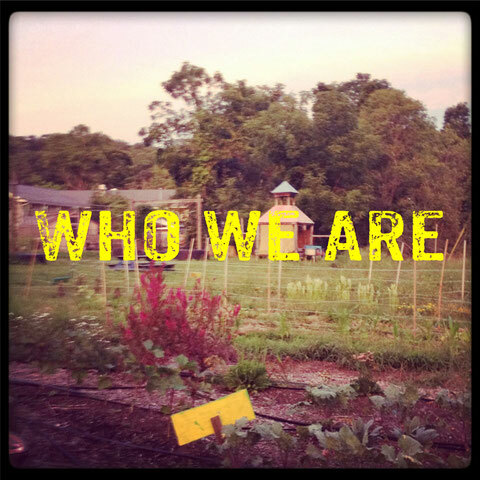 Since 2013, JFS has been focusing our programs in the Philadelphia area that connect the local Jewish community with the vibrant urban agriculture and food justice movements. Click here to learn more about our current offerings. 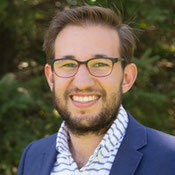 Nati Passow has been a leader in the field of Jewish environmental education for over 10 years, was selected to the Jewish Week's "36 Under 36," and was a recipient of the Joshua Venture Group Fellowship for Jewish Social Entrepreneurs. Under his direction, JFS was named by Slingshot as one of the most innovative Jewish organizations in North America for three years. Prior to forming Jewish Farm School, Nati ran an award-winning garden construction program for the Urban Nutrition Initiative in Philadelphia and led service–learning trips in the developing world for American Jewish World Service. Nati has studied sustainable building design and natural building and is a certified Permaculture designer, and holds a B.A. in Religion and Environmental Studies from the University of Pennsylvania. Alex grew up in the Pine Barrens, 45 minutes east of Philly, where his growing wonder of trees and forest soil mingled with a discomfort and distrust of mainstream suburban lifestyle, and set his eyes towards alternative and restorative ways of living. After graduating with a B.A. 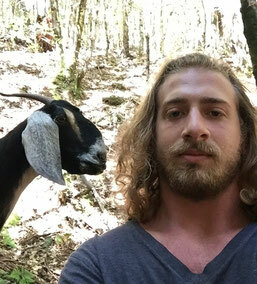 in Geography from Vassar College in 2015, he’s spent the past few years working in multiple nodes of the food system, including as a chocolate maker and a restaurant cook, and living on a variety of farms on the west coast and in Central America. He combines his love and understanding of food and agroecology with a commitment to social and ecological justice and community organizing, bolstered by his experience as a community organizer with the Stop Urban Shield Coalition and SURJ Bay Area. When not weaving together food justice, community organizing, and jewish tradition, you can probably find Alex in his kitchen, in a dance or yoga studio, or wandering the blocks of his neighborhood looking at trees and talking to neighbors and admiring West Philly’s infinite variety of porches. Some of Rowan's greatest loves are gardening, teaching, and Judaism, and they are excited to be leading a program that combines all three! Rowan is currently working on a doctorate at the UPenn Graduate School of Education, and has been an elementary and middle school teacher and preschool director. Rowan is a firm believer in supporting children in taking risks, getting dirty, following their passions, and making meaning of complex ideas. Some of Rowan's favorite teaching experiences with preschoolers put nature and Judaism at the center: taking care of chickens and collecting eggs, baking challah, caring for the garden throughout its seasons, making cheese and yogurt, dipping Shabbat candles, composting with a worm bin, and exploring the botanic origins of spices in a Havdalah besamim box. Through regular immersion in activities like this, Rowan believes that even city kids can build an intimate relationship with how the Earth provides and how we can nurture it. Rowan lives with their partner and 4-year-old in West Philly. 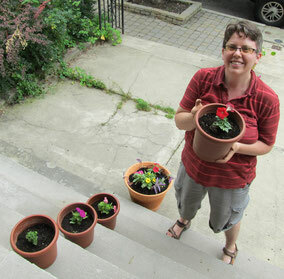 When Rowan isn't hanging out with JFS, they may be found playing guitar or viola, managing their synagogue's database, cooking and canning, serving on several boards, researching how teachers do their amazing work, and, of course, gardening. Rowan can be reached at rowan@jewishfarmschool.org. Robert Auritt has over 20 years of experience as a business transactions attorney practicing at the intersection of the entertainment, sports, and technology spaces. He has served as in-house counsel to industry-leading companies and worked at law firms, both large and small. Rob has advised a diverse range of clients from creative artists to founding entrepreneurs to multinational corporations. He is currently a partner at the Center City law firm of Baer Crossey McDemus, LLC. Rob is a graduate of Brooklyn Law School and holds a bachelor of arts in Religion from Temple University. He is a past president and an active member of Kol Tzedek synagogue in West Philadelphia and is a member of the Philadelphia Regional Council of the New Israel Fund. Rob and lives with his wife and two children in the Bella Vista section of South Philadelphia. 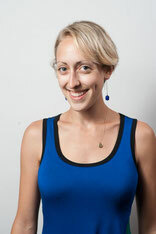 Lila is an Associate Professor of History at Temple University. She holds the Murray Friedman Chair of American Jewish History and directs the Feinstein Center for American Jewish History. The Feinstein Center fosters innovative research into the American Jewish experience and serves as a convener of public scholarship conversations and experiences. Berman is author of Metropolitan Jews: Politics, Race, and Religion in Postwar Detroit (University of Chicago, 2015) and Speaking of Jews: Rabbis, Intellectuals, and the Creation of an American Public Identity (California, 2009). 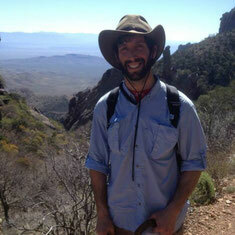 Michael is a math teacher, traveler, hummus enthusiast and contributor to the Jewish Exponent's Philacatessen blog. 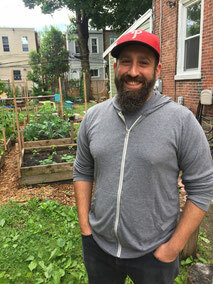 A firm believer in local food systems, he is a regular at the Clark Park and Headhouse Farmers Markets, and considers ethical and local food sourcing to be as important as taste when selecting where to dine. He has spent all of his life in Philadelphia, with the exception of the four years he spent working towards and receiving his bachelor's degree in math and secondary education at Vanderbilt University in Nashville. Most recently, he received a masters' degree in education leadership from Villanova. Rebecca is currently a doctoral candidate in Temple University’s Geography & Urban Studies department, where she also teaches environmental studies and food studies courses. Rebecca has served as the secretary and president of the Graduate Student Association and as a member of planning committees for a number of conferences and symposia hosted by the department. Her academic inquiries and personal passions revolve around the idea of food as a departure point from which to think critically about and act intentionally in the world around us. Rebecca has been involved in farming and food justice projects for the past ten years in places ranging from rural Pennsylvania to Latin America to right here in Philadelphia. She feels so grateful to have found such a vibrant and unique community in the Jewish Farm School, whose mission perfectly encapsulates her commitments to Jewish practices and values, environmental and agricultural restoration, and social justice. Alexandra is a dentist at the Rose Tree Dental Group in Media, PA, where she treats both adults and children. She is a graduate of the University of Pennsylvania School of Dental Medicine and Brandeis University. Alexandra is a founding member of the Sisterhood at Mekor Habracha/Center City Synagogue and lives in the Graduate Hospital section of Philadelphia with her husband, Jonathan and their daughter, Miriam. She believes that food sustainability is a Jewish value and is excited by the the Farm School bringing the Farm into cities. Risa works at The Food Trust, a nonprofit organization ensuring that everyone has access to affordable, nutritious food and information to make healthy decisions. As part of The Food Trust's Center for Healthy Food Access, she brings together community residents, policymakers, public health and economic development leaders, grocers, farmers, foundations and others to advance health equity across the country. Risa completed the Urban Adamah fellowship in 2013. She is a Co-Chair of the Repair the World Philadelphia Advisory Committee and also helps to plan the annual Hazon Philadelphia Jewish Food Festivals . Risa is a regular at JFS programs, and she volunteers with various groups in West Philadelphia, where she lives. 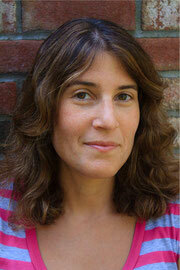 Ari is a rabbinical student at the Reconstructionist Rabbinical College. 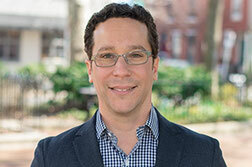 Originally from Minneapolis, Ari graduated from Goucher College where he received a BA with honors in both Religious and Peace Studies and completed a Master's in Nonprofit Leadership from the University of Pennsylvania. Following his time at Goucher, Ari spent a year in service as an Americorps VISTA working to engage faith-based institutions in supporting Baltimore city public schools. He subsequently went on to staff the Baltimore Interfaith Coalition, which convenes the city’s top religious leadership in taking action to address social justice issues in the city. In 2011 Ari spent six months living and learning with the Abayudya Jewish community in Uganda before returning to Baltimore and joining the staff at the Pearlstone Center. At Pearlstone he spearheaded the establishment and curriculum development of the Sustainability Apprenticeship, a seven month program that integrates farm work, Jewish education, and leadership development. 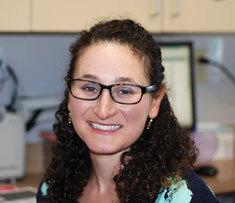 While in school Ari has served on the faculty for Repair the World's fellowship program, as the development manager at the Jewish Farm School, the Rabbinic intern for Hillel at Drexel University and completed a unit of CPE at the Jefferson University Hospital. He currently serves as the Student Rabbi at Germantown Jewish Centre and lives in Philadelphia with his wife, Liz Traison. Carly is the CEO of Challah for Hunger, a Philadelphia based non-profit with an international impact that inspires young people to “bake a difference” through challah baking, advocacy and philanthropy. Carly holds a M.A. in Jewish Professional Studies from the Spertus Institute of Jewish Learning and Leadership and a B.A. in History and Political Science from the University of Pittsburgh. She lives and works in Philadelphia with her husband Michael, where she spends most free time outside on a bike or a walk with her two dogs. She is excited to support Jewish Farm School's growth!